If you read my recent post about the struggle I have with my health you know that things haven't been going really well around our house. Right before I had starting not feeling well I took the opportunity to work with some new fabric designed by Stephanie Smokeovich the owner/designer of Bella Blvd. You all know how much I adore Bella so I jumped at the chance to work with the fabric from the Snapshots line (even though I'm a terrible seamstress). Luckily this is a project that my mom and my sister could help me with (their the ones who sew in our family). 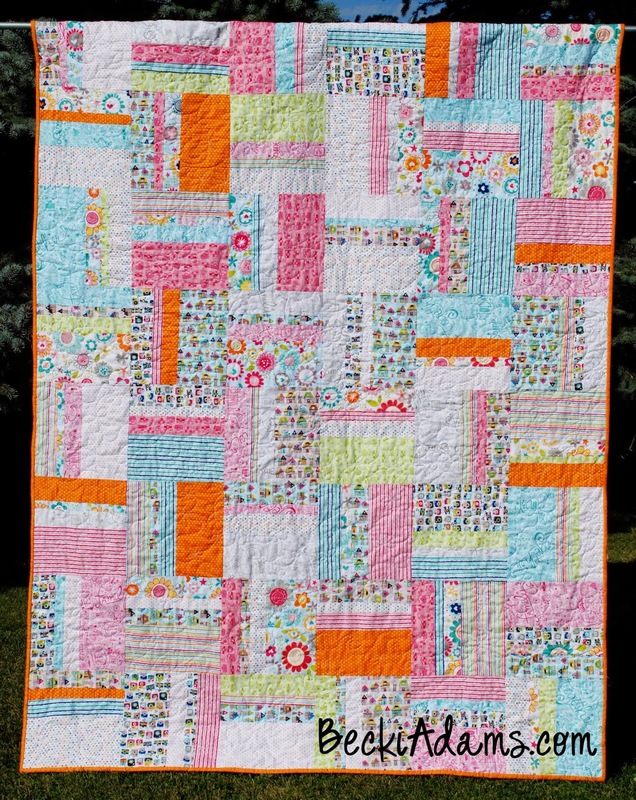 My little girlie and I LOVE how the quilt turned out! She couldn't get it on her bed fast enough! 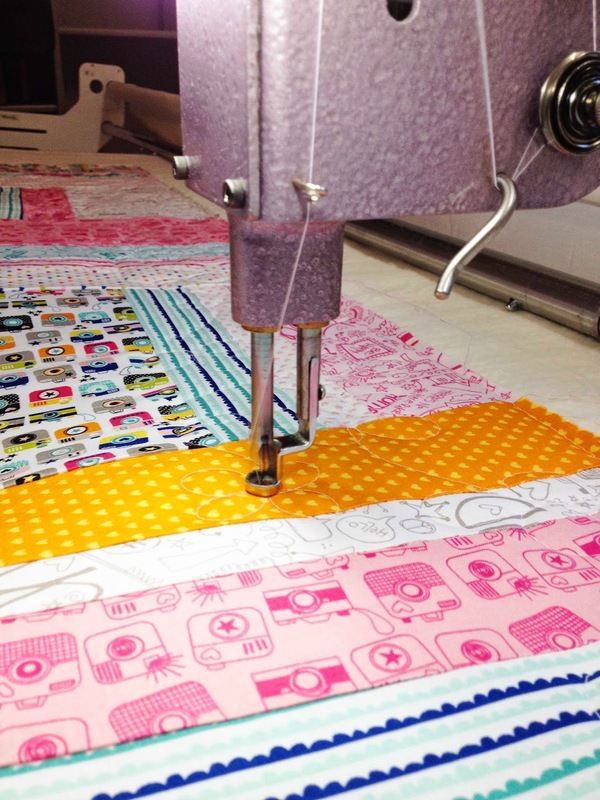 My favorite detail about the quilt is the quilting that my mom added. 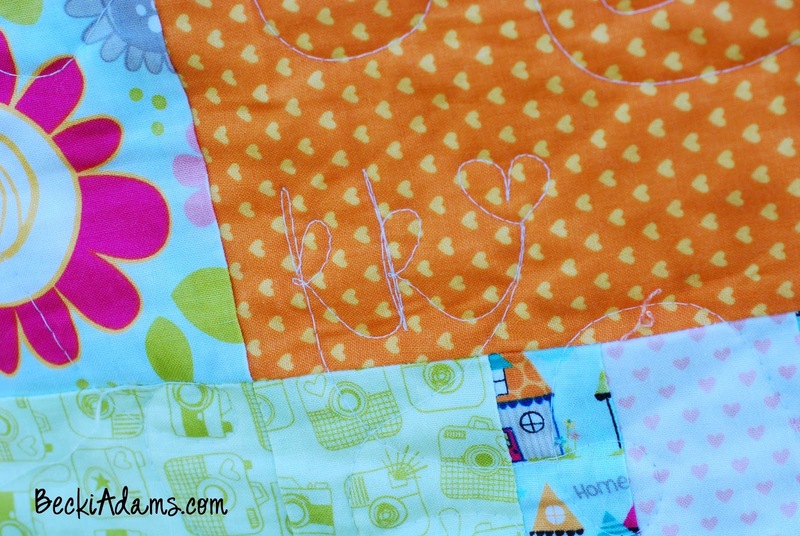 She added my daughter's nickname and the year hidden in the quilting of the quilt. 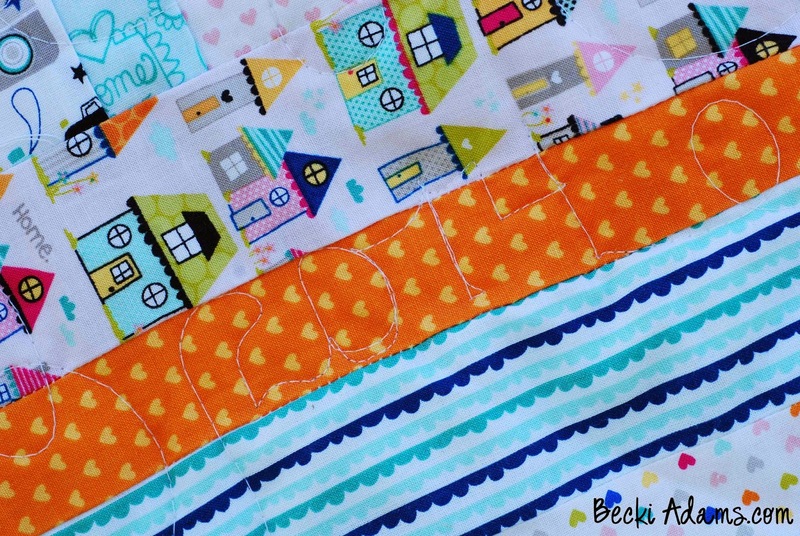 I'm so excited to for her to have a quilt that she loves!